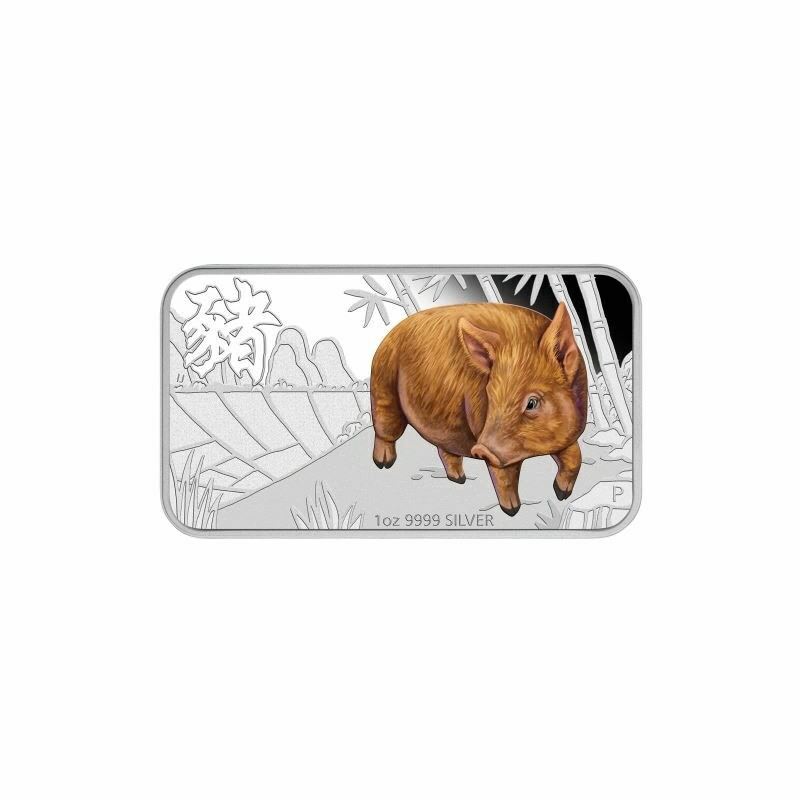 In 2019, we celebrate the final animal in the 12-year cycle of the Chinese zodiac, the social, inquisitive and highly intelligent pig. 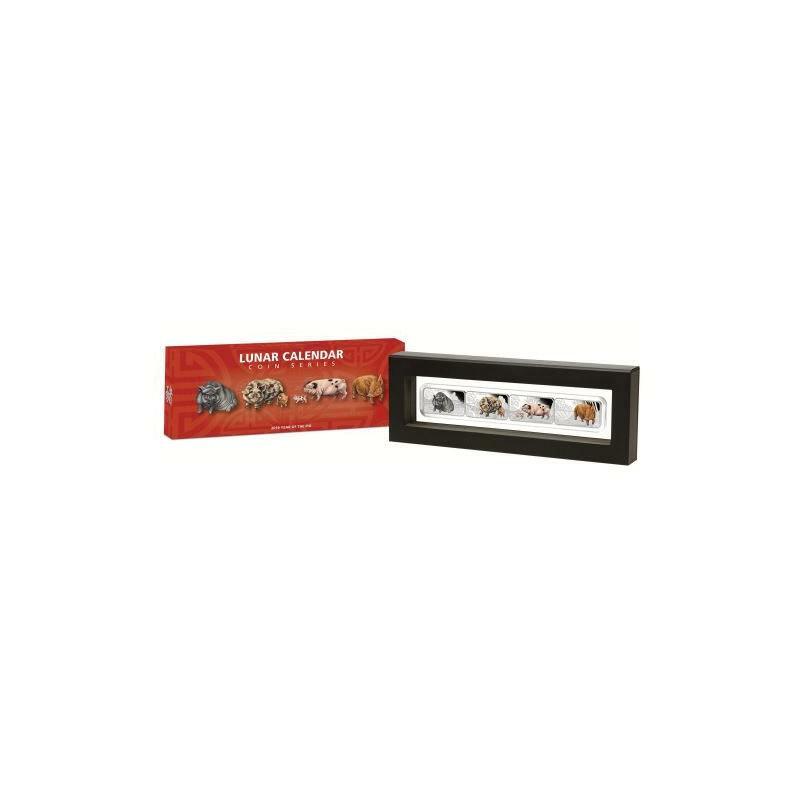 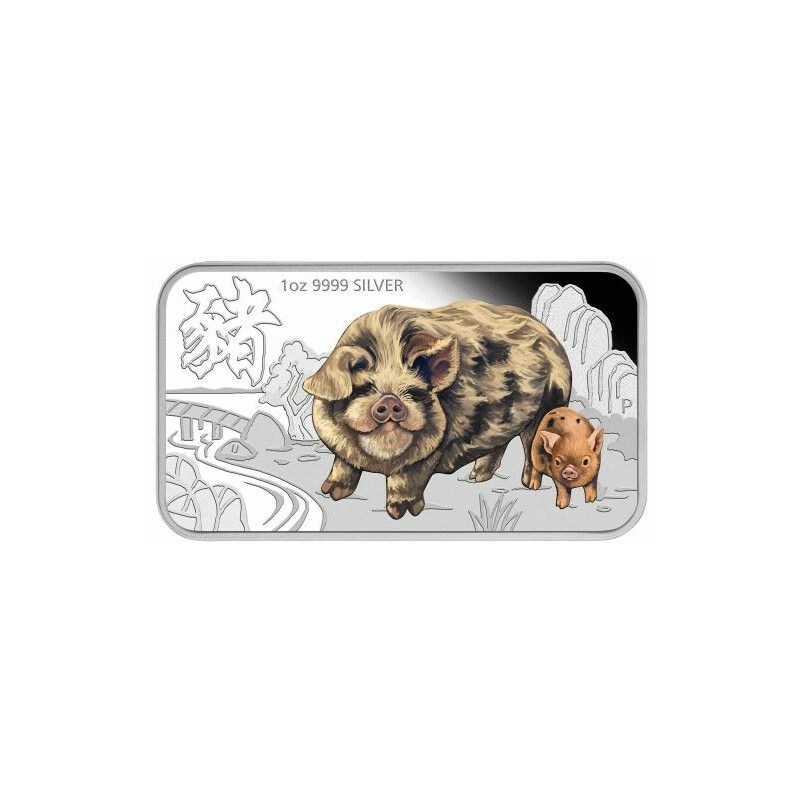 This stunning silver set showcases four different coloured pig designs form one scene when displayed next to one another. 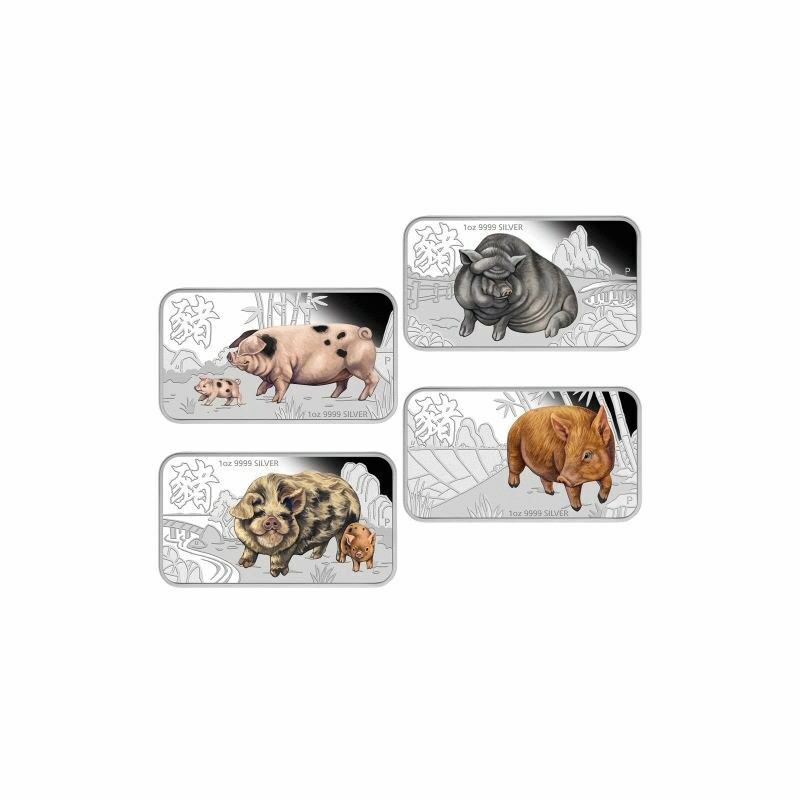 The birth dates for people ruled by the Chinese Lunar pig include 1947, 1959, 1971, 1983, 1995, 2007 and 2019. 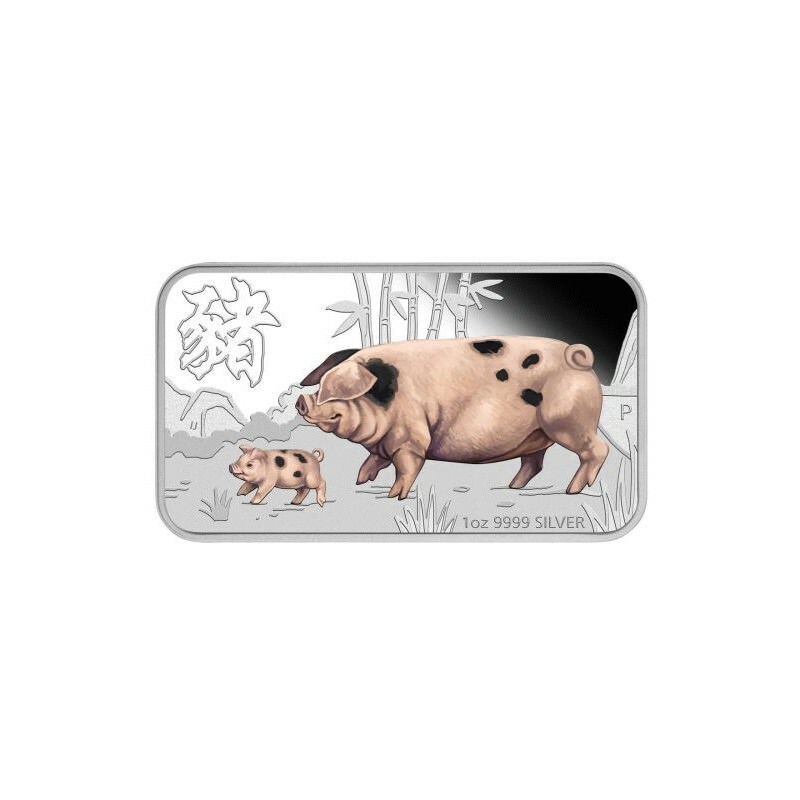 Those born under this sign are said to be easy-going, sincere and calm under pressure. 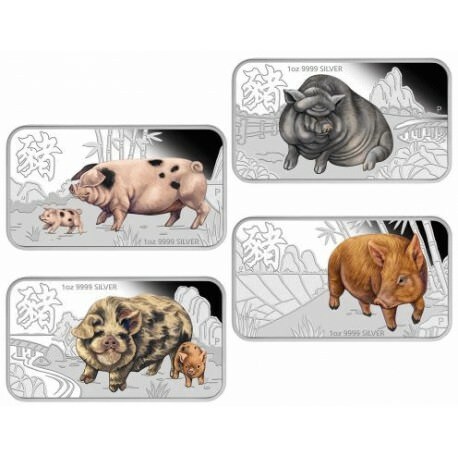 The reverse of each coin celebrates the 2019 Year of the Pig with four distinctive coloured designs showcasing a Vietnamese Pot-bellied, Kunekune from New Zealand, Gloucestershire Old Spot and a Tamworth, both from England. 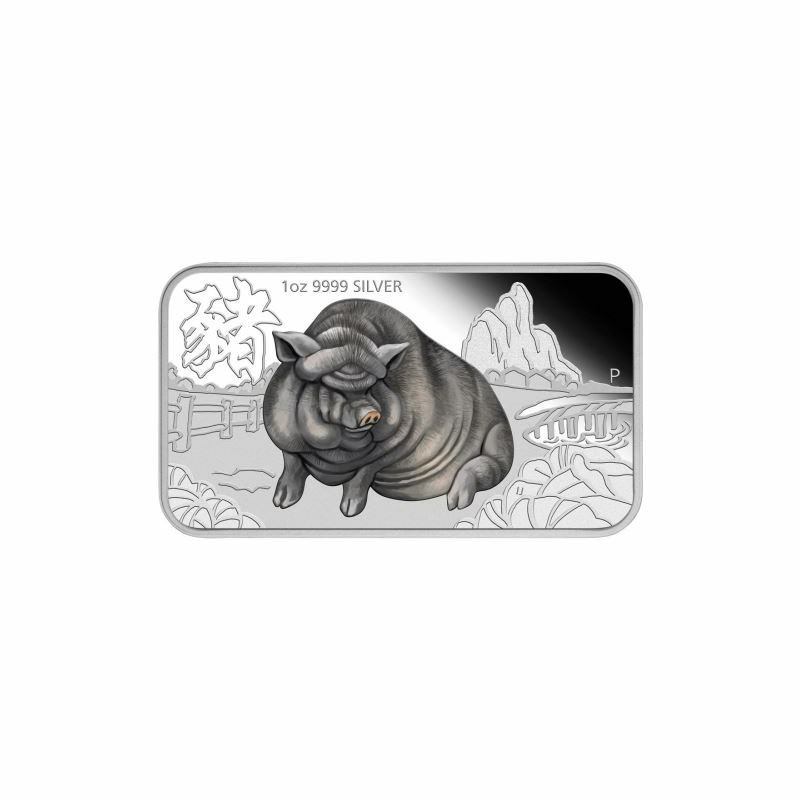 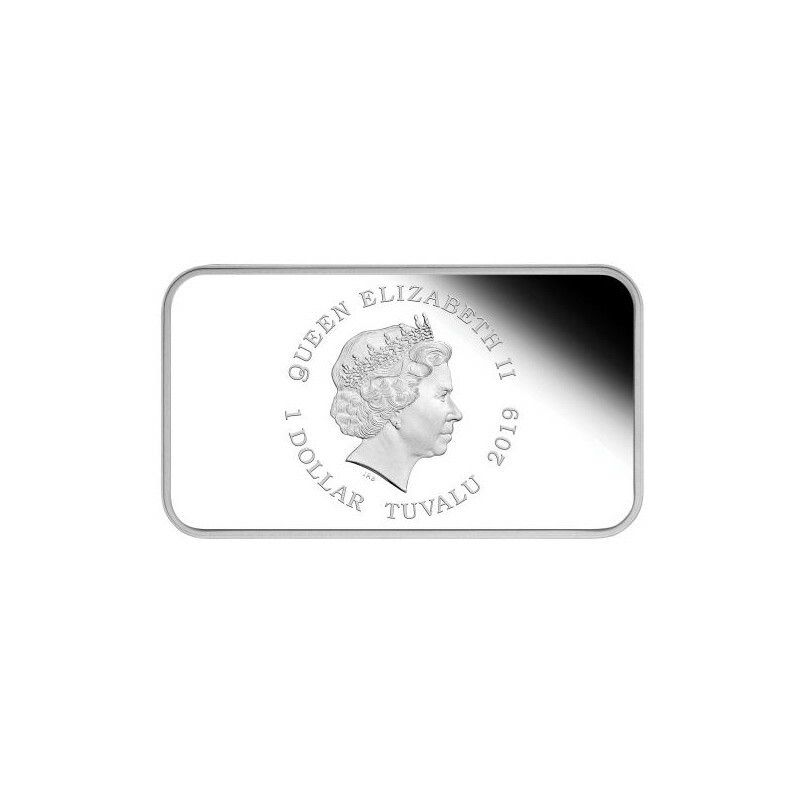 The Chinese character for ‘pig' and The Perth Mint’s traditional ‘P’ mintmark are also included in the design.